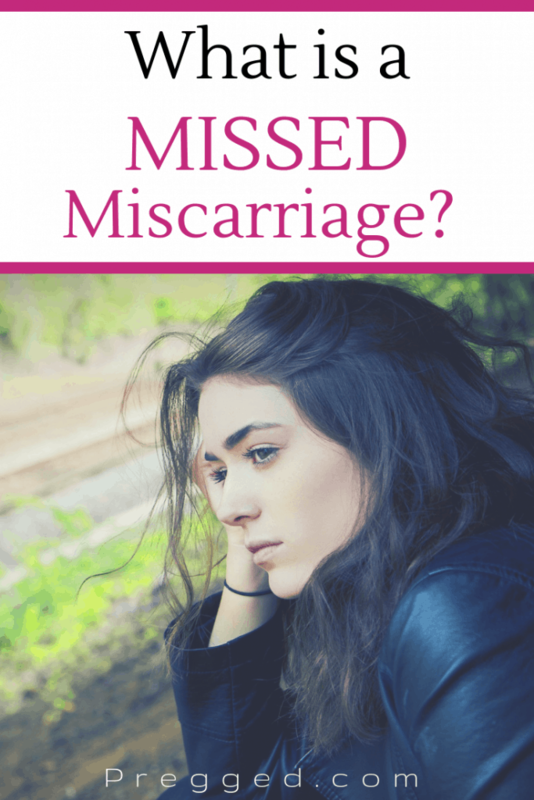 Home » Pregnancy » Miscarriage » What is a Missed Miscarriage? Sadly not every pregnancy ends in the birth of a healthy child. Miscarriage is something all pregnant women fear and it is a heartbreaking experience. There are many different types of miscarriages but one you might not know too much about is called a “missed miscarriage”. So what is a missed miscarriage and what causes it? A missed miscarriage is sometimes called a silent miscarriage because the woman doesn’t notice any symptoms. There might not be any of the regular signs we associate with miscarriage such as bleeding or pain. The miscarriage occurs silently and often isn’t noticed until the women goes for a routine scan. There can be a million things which cause a miscarriage. The vast majority of cases are due to abnormal development of the embryo due to genetic mistakes or chromosomal abnormalities. It is Mother Nature’s way of correcting its mistakes. You will likely never know with certainty what caused it. Many doctors and midwives will simply tell you it is “one of those things”. While that doesn’t help your aching heart, it is a sad fact of pregnancy. One reason for miscarriage could be due to an anembryonic pregnancy or what is sometimes called a blighted ovum. This is when the embryo never develops. The pregnancy sac which would normally hold the embryo is empty. It could also be that the embryo began to grow, but then for some reason stopped. Generally, a missed miscarriage happens in the first few weeks of pregnancy and is discovered around 8-10 weeks but sometimes it may not be known until later in the pregnancy. What Does a Missed Miscarriage Feel Like? 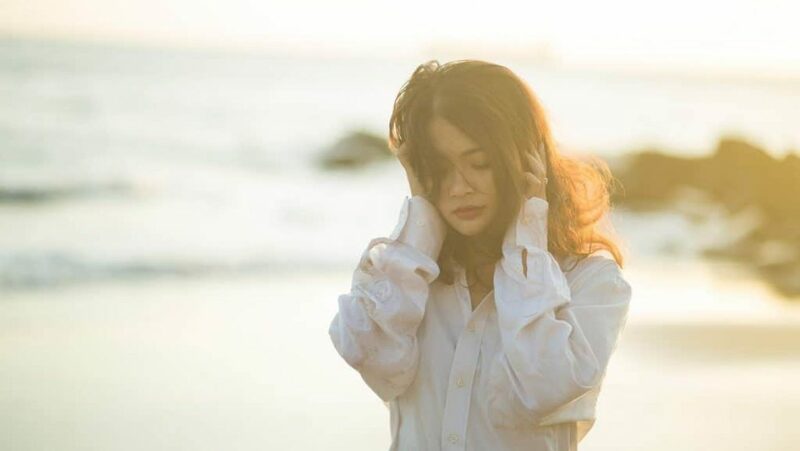 Unlike other types of miscarriage which may have many symptoms and feel very painful, a missed miscarriage feels like nothing out of the ordinary. That is why it is given this name. The signs are “missed” because they’re not there. The woman still feels pregnant and may still have pregnancy symptoms like breast tenderness and nausea. However, in many cases, the lack of or change in these symptoms is what prompts the woman to think something might be wrong. What she might not notice however is the subtle decrease in these symptoms as hormone levels begin to fall. The signs are so subtle that she will probably not know about it until she goes for her first scan. At this first scan the ultrasound technician will be able to see that the pregnancy is not normal and that a miscarriage is imminent. The pregnancy sac will be empty or the embryo has no heartbeat. This is terrible news and if this happens to you, you must take the time to grieve and deal with the loss. This will be no comfort but around 20% of pregnancies end in spontaneous miscarriage – most in the first trimester. If the scan shows a missed miscarriage, another scan will need to be done to confirm it. This can either be done via a vaginal scan or it can be another scan carried out in a week’s time. This depends on how far along you were in your pregnancy. This is why a second scan might be needed. No woman wants to go through this process twice but it may be necessary to confirm the diagnosis. What Happens After The Diagnosis of a Missed Miscarriage? Your midwife or doctor will advise you on the next steps and you should take the time to carefully consider what happens next. This depends entirely on how far along in the pregnancy you were. Undergo a small operation under anesthetic in which the doctor will remove any pregnancy tissue remaining in your uterus. It’s called a dilatation and curettage of D &C.
You do not have to decide what to do there and then. Take the time to think about it and discuss your options with your midwife or doctor. Do listen to their advice very carefully to ensure that you don’t become unwell from any potential complications which could arise. If you decide to let nature take its course, you will experience cramping and bleeding until the contents of the uterus pass. This is generally swift but if it lasts more than a couple of hours with intense pain or heavy clots, you need to call your doctor. It’s important to know that if you have had a missed miscarriage that doesn’t mean your next pregnancy is going to end the same way. Many women suffer a miscarriage and go on to have a completely healthy pregnancy the following time. It is unfortunate to have to experience such a tragic event, but a lot of the time we never really know why a miscarriage occurred. We simply have to try to process, grieve and move on. Your doctor will advise you to wait 3 months after a miscarriage before attempting to conceive again to give your body enough time to heal.